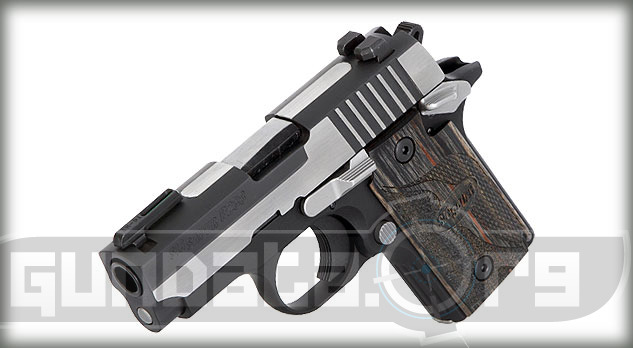 The Sig Sauer P238 Equinox is a small beavertail frame sub-compact pistol designed for conceal and carry, self-defense, and off-duty back up purposes. It has an overall length of 5.5-inches, and a 2.7-inch barrel. 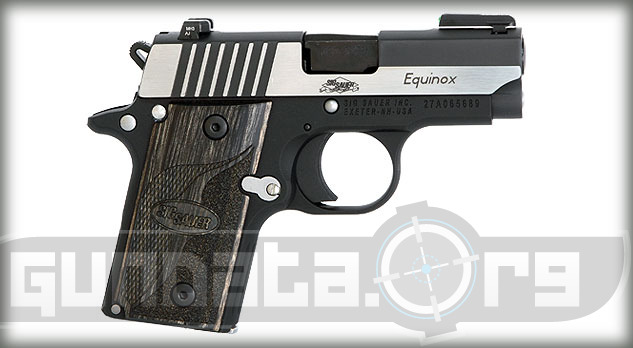 Starting in 2012 all P238 models can be purchased with safety controls for right or left handed shooters. The magazine holds 6-rounds of .380 ACP (9mm short) ammunition. 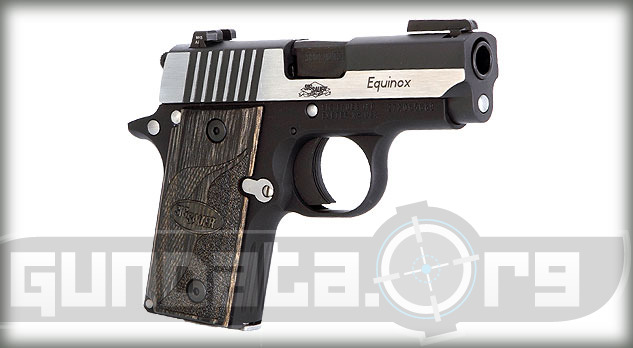 The P238 Equinox has a stainless steel frame, with a black hard coat anodized finish. The slide is made stainless steel, with Nitron and Polished side flat finish. The grip has custom checkered wood, with a fluted front strap. It comes with a lockable hard case and 1 magazine. 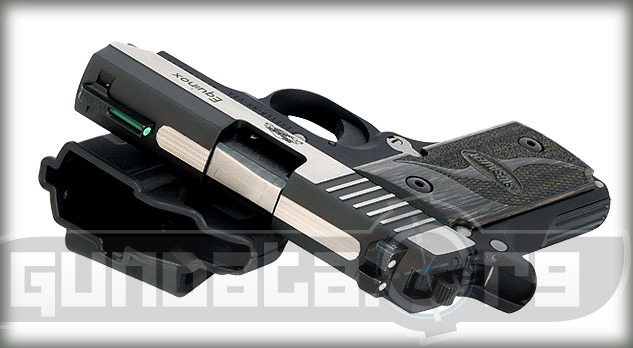 The front sight is a fixed green true glo-front sight, with a U-notch rear sight that features the Siglite Nightlite white dots.